I’ve been back in the gym for the last six months. I love pushing iron, the clank of the weights, the rubber matting, the whole thing. As it’s some time since I worked out and I’m not that young anymore, I’m mostly using machines as I ease in. I aim to increase my strength and muscle mass and decrease the gut. Loss of muscle mass can start around age 30 if we are inactive. When we get to sixty years of age we lose around 1% of our muscle mass each year. By 70 it’s 2% per year, by 80 it’s got to 4%. I’m 61 by the way. Like interest on a loan, this is not so much in one year, but year in and year out it builds up into a big debt. Muscle weakness can then make it much harder to go up stairs, rise from a chair, manoeuvre into a car or get up off the floor. It doesn’t matter how old we are, we can still increase strength and muscle bulk by training. Sure it’s easier when we are younger and we don’t have to work round so many painful joints. But we still have to do it right. Muscle bulk and power increases in response to the intensity of the resistance we work against. If we don’t use enough resistance, we don’t get any change. I was shocked by how many people are still doing their exercises badly! Young and old, they did their workouts with no clear idea what they were trying to achieve or how to do it. All the errors I saw years ago are still there. I thought perhaps that techniques would have improved as people had access to more information, but not so. The guys and girls that are doing well could do so much better. People not doing well could start to gain. Older people could enjoy the strength and health benefits they are attending for. Otherwise they are pretty much wasting their time. Here are my 14 gym mistakes holding you back, and why. Some of them are pretty obvious, others I probably just have a thing about. 1. Don’t chat all the time. If you want to go the gym with your mates and chat, that’s fine. Just don’t expect to gain any muscle. By all means go with the banter and joking, but are you there to work hard or not? You can do both. Or not. And please don’t get in the way. 3. Stop messing with your water bottle. Yes, I know hydration is important and our performance might drop X% if we lose this or that amount of water. But I doubt very much hydration is the factor limiting improvement for almost anyone in the gyms I’ve been to. Drink a good bit before you go in and, unless you sweat a whole lot, you don’t need extra fluid. It’s a distraction. Focus. 4. Don’t sit on the machine, doing nothing. There’s plenty of time in-between your sets for someone else to do their set in time for your next one. This is especially important when there’s only one of that particular equipment in the gym. Don’t be a machine hog and have some respect. Sharing is good. 5. Don’t go macho on weights. This is more a problem with younger guys who want to look like they’re shifting some serious iron. Throwing weights about is a bad idea. Apart from being ineffective. Do I have to explain? Injury, my man. See below. 6. Be nice to your tissues. The body systems that matter to us in the gym are the muscles, tendons, ligaments and joints. Muscle tissue remakes itself completely in 90 days, replacing all the molecules, proteins and chemicals, with “new” ones. This allows it to adapt quickly and so strength can increase dramatically in a relatively short time. 7. Connective tissue takes much longer to adapt. Connective tissue (tendons, ligaments, fascia) is not the blood-rich and metabolically active environment that muscle is. It takes much, much longer than muscle to adapt, to renew itself to face the new challenges you are putting on it. The time? Around 210 days, or seven months. During this period, if you are increasing your muscle power dramatically, the gap between the power your muscles can exert and what your connective tissue can cope with is widening dramatically. This is a recipe for trouble. Trouble like tennis elbow, biceps tendonitis, patellar problems or shoulder tendon irritation. Make haste slowly is the key, especially if you are young and can make haste fast. 8. Use the full range. This is one of the most common sins. But can we really use the full range of the muscles or joints we are training? Well no, there are loads of reasons why that’s not entirely possible. But that doesn’t make it right to do the opposite. Yea, I’m on my high horse now. So how do you spot this error? Look for anyone who’s swinging a weight or can’t let it down the whole way. Biggest losers here are people trying to do a one arm curl over an incline bench. They choose a weight way too heavy and can’t let it down beyond 90 degrees elbow bend cos they don’t have the strength. Ha. Or the leg extension machine, where they don’t start far enough back into knee bend and don’t straighten the knees at the end. Doing this is going to strengthen you sure, but only through a very limited part of the movement. And one of the most important bits is right to full knee straight. Machine movements are limited enough as it is, why make them even less effective? 9. Don’t waste being eccentric. When you start a barbell curl, the barbell is at the bottom of the movement and resting against your thighs. OK? When you make the curl movement up as far as you can go, that is known as concentric contraction. The muscle is shortening, balling up, as you curl that weight up. Now it’s time to let the weight down. As you do this, your biceps is still contracting but lengthening at the same time as it pays out against the weight. This is called eccentric contraction and may be more important for strength and mass development than concentric. So don’t waste it. Let the weight down slowly. It’s half of the exercise so make your muscle do the damn work. You’ll be happy with the results. 10. Don’t hang about between sets. If you wait more than 45-60 seconds between sets your muscles recover too much to easily ramp up the intensity that will make them grow. I’ve seen a boy on the leg extension machine fiddle with his phone for five minutes between sets. He might as well come in and do one set on Monday, another on Tuesday etc. for all the good that will do. 11. Don’t waste time doing unilateral movements, or cables, unless you’re already really built. Even then it might be a waste of time. The body is a bilaterally functioning machine – it works best when both sides work at the same time. If you’re trying to gain bulk or strength, stick to movements that involve both sides. Unilateral movements are much harder to control and to get a good muscle workout so maybe they’re for later when you’re more experienced. Maybe. 12. Leg abduction and adduction machines. Yes I do have a bit of a thing about these, and they might be useful in certain circumstances. The ladies like them and think they will change their thighs in some way. This is unlikely. The forces on the legs in normal life are way higher than any effort on one of these machines. Who have the most powerful hip abductor and adductor muscles? Sprinters. Most ladies won’t want that sort of development but it points to what’s needed to power up these muscle groups and it’s not those hip machines. 13. Don’t mess about with useless exercises. If you’re trying to gain, then one-arm exercises, leg extensions and cables should not be your main line. The biggest muscles in the body will have the biggest metabolic and anabolic effect. This means the chest, back, buttocks and thighs. This doesn’t mean the other muscles aren’t important, just that they are secondary when you are trying to get big. So squats, leg presses, bench presses, dead lifts, dips and chins are your friends. The legs and calves take a huge amount of force just carrying us about, going up and down steps, running here and there. You can’t push them without adding something on top of this day-to-day stress to make them grow. This means squats or leg presses. Natural movements that use the body’s functional movements such as squatting, dipping, chinning, benching and curling are likely to be way more productive that any made-up exercise. Well that’s that off my chest! Let me know what you think about the funny behaviours we all exhibit in the gym. All human life is here. Finally done it! "Pacing For Pain" is now published on Smashwords and is available in all the major ebook formats. The Smashwords system is very easy to use and there are several very useful (and free!) 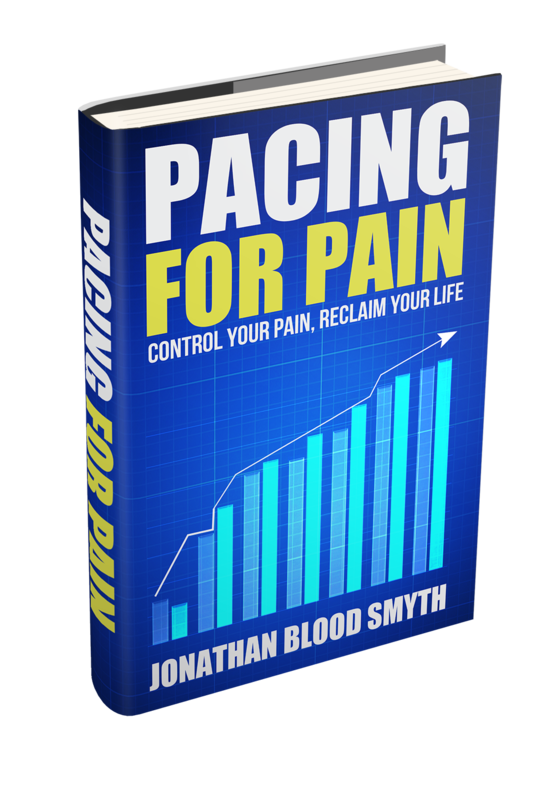 ebooks all about getting the best out of your … [Continue reading] about Pacing For Pain on Smashwords!